По большей части наш интерес к идентификации центральномексиканских империй связан с нашей работой над проектом Олбани Яутепек. Раскопки в Яутепеке проводились благодаря грантам Национального научного фонда, Национального фонда гуманитарных наук и фонда Хайнц. Исследование Яутепека проводилось на средства Национального научного фонда (диссертационные гранты Монтиель и Тимоти С. Хеа), Фонда антропологических исследований Веннер-Грен, Национального географического общества, Института месоамериканских исследований и Университета Олбани. Мы благодарны за помощь и поддержку руководства Национального института антропологии и истории, в особенности Норберто Гонсалесу Креспо, Гортензии де Вега Нова, Виктору Хьюго Валенсия Валера и Хоакину Гарсия-Барсена. Мы хотели бы также поблагодарить за помощь и идеи наших коллег по проекту Яутепек, в особенности Тимоти С. Хеа и Синтию Хит-Смит. Смит также хотел бы поблагодарить участников двух недавно прошедших конференций, способствующих дискуссии по проблемам нашей темы: «Имперские модели: Сравнительная динамика ранних империй», организаторы Сьюзан Элкок, Теренс Д’Алтрой, Кетлин Моррисон и Карла Синополи (проходила в городе Михас, Испания, в октябре 1997 года), и «Постклассическая месоамериканская мир-система», организаторы Смит и Франсес Ф. Бердан (прошла в Ист Лансинг в апреле 1999 года) - обе конференции были проведены Фондом антропологических исследований Веннер-Грен. Предварительные версии некоторых идей, рассмотренных здесь, были представлены Смитом на симпозиуме по майянистике Техасского университета в Остине в марте 1998 года. Мы благодарим Джорджа Каугилла, Тимоти Эрла, Артура Джойса, Джея Силверстайна, Катарину Шрайбер и анонимных рецензентов за их полезные комментарии к первоначальным наброскам этой статьи. Мы также благодарим Синтию Кристен-Грэхем, которая обратила наше внимание на скульптуры Эль-Серрито, и Тимоти С. Хеа за помощь в расчетах раннего постклассического типа при исследовании Яутепека и за предоставление цифровых схематических карт центральной Мексики. 1989 Before European hegemony: The world system, A.D. 1250–1350. Oxford Univ. Press, New York. 1956 Resumen de los informes de las exploraciones arqueológicas en Tula, Hidalgo, durante las VI, VII, y VIII temporadas, 1946–1950. Anales del INAH 8:37–115. 1979 Late prehispanic empires of the New World. In Power and propaganda: A symposium on ancient empires, edited by Mogens T. Larsen, pp. 59–73. Akademisk Forlag, Copenhagen. 1993 Graecia Capta: The landscapes of Roman Greece. Cambridge Univ. Press, New York. Alcock, Susan E., Terence N. D’Altroy, Kathleen D.
2001 Empires: Comparative perspectives from archaeology and history. Cambridge Univ. Press, New York. 1993 Expansionary dynamics of some early pristine states. American Anthropologist 95:304–333. 1990 The fall of Chichen Itza: Apreliminary hypothesis. Latin American Antiquity 1:258–267. Arnold, Phillip J., III, Christopher A. Pool, Ronald R.
1993 Intensive ceramic production and Classic-period political economy in the Sierra de los Tuxtlas, Veracruz, Mexico. Ancient Mesoamerica 4:175–191. 1998 Urbanism and early state formation in the Huamelulpan Valley of Southern Mexico. Latin American Antiquity 9:37–67. 1979 The figurines and figurine chronology of ancient Teotihuacán Mexico. Ph.D. dissertation, Univ. of Rochester, Rochester. 1998 The sacred landscape of the Inca: The Cusco ceque system. Univ. of Texas Press, Austin. 1991 Rome and India. Univ. of Wisconsin Press, Madison. 1992 The codex Mendoza, 4 vols. Univ. of California Press, Berkeley. Berdan, Frances F., Richard E. Blanton, Elizabeth H.
1984 Teotihuacan art abroad: A study of metropolitan style and provincial transformation in incensario workshops. BAR International Series, no. 199. British Archaeological Reports, Oxford. 1992 Art, ideology, and the city of Teotihuacan. Dumbarton Oaks, Washington, DC. 1988 Feathered serpents and flowering trees: Reconstructing the murals of Teotihuacan. Fine Arts Museums, San Francisco. 1978 Monte Alban: Settlement patterns at the ancient Zapotec capitol. Academic Press, New York. 1983 The urban decline of Monte Alban. In The cloud people: Divergent evolution of the Zapotec and Mixtec civilizations, edited by Kent V. Flannery and Joyce Marcus, p. 186. Academic Press, New York. 1996 A consideration of causality in the growth of empire: A comparative perspective. In Aztec Imperial strategies, pp. 219–225. Dumbarton Oaks, Washington, DC. 1984 The Mesoamerican world system. American Anthropologist 86:673–682. 1996 A dual-processual theory for the evolution of Mesoamerican civilization. Current Anthropology 37:1–14. 2000 Venerable place of beginnings: The Aztec understanding of Teotihuacan. In Mesoamerica’s classic heritage: From Teotihuacan to the Aztecs, edited by Davíd Carrasco, Lindsay Jones, and Scott Sessions, pp. 371–396. Univ. Press of Colorado, Niwot. in Postclassic international styles and symbol press systems. In The postclassic Mesoamerican world, edited by Michael E. Smith and Frances F. Berdan. Univ. of Utah Press, Salt lake City. 1971 Pre-Columbian contacts—The dryland approach: The impact and influence of Teotihuacan culture on the pre-Columbian civilizations of Mesoamerica. In Man across the sea: Problems of pre-Columbian contacts, edited by Carroll L. Riley, J. Charles Kelley, C. W. Pennington, and Robert L. Rands, pp. 79–105. Univ. of Texas Press, Austin. 1993 Los basamentos con espacios hundidos. Cuadernos de Arquitectura Mesoamericana 25:73–78. 1975 Arqueología del norte de México. In Los pueblos y señoríos teocráticos: El periodo de las ciudades urbanas, primera parte, edited by Eduardo Matos Moctezuma et al., pp. 217–272. Instituto Nacional de Antropología e Historia, Mexico City. 1984 Rome and the friendly king: The character of the client kingship. St. Martin’s, New York. Briggs, Lawrence P.
1951 The ancient Khmer empire. American Philos. Soc., Philadelphia. 1987 The great temple of Tenochtitlan: Center and periphery in the Aztec world. Univ. of California Press, Berkeley. 1999 Textile production and the political economy of the Teotihuacan state. Paper presented at the 1999 Annual Meeting, Society for American Archaeology, Chicago. 1992 Asurvey of recently excavated murals at Teotihuacan. In Art, ideology, and the city of Teotihuacan, edited by Janet Catherine Berlo, pp. 113–128. Dumbarton Oaks, Washington, DC. 1991a Teotihuacan, 1980–1982: Nuevas interpretaciones. Instituto Nacional de Antropología e Historia, Mexico City. 1991b The Templo de Quetzalcoatl project at Teotihuacan: A preliminary report. Ancient Mesoamerica 2:77–92. 1982 Quetzalcoatl and the irony of empire: Myths and prophecies in the Aztec tradition. Univ. of Chicago Press, Chicago. 1996 Estructura político-territorial del imperio tenochca: La triple alianza de Tenochtitlan, Tetzcoco y Tlacopan. Fondo de Cultura Económica y El Colegio de México, Mexico City. 1983 An introduction to urban historical geography. Arnold, Baltimore. 1995 Archaeological survey of the Yautepec Valley, Morelos, Mexico. Paper presented at the 1995 Annual Meeting, Society for American Archaeology, Minneapolis. 1977 Rescate arqueológico en el barrio de Tepito, México, D.F. In Los procesos de cambio en Mesoamérica y áreas circunvecinas. XV mesa redonda, pp. 397–402. Sociedad Mexicana de Antropología, Mexico City. 1978 Teotihuacan, Tepeapulco, and obsidian exploitation. Science 200:1227–1235. 1991 The influence and legacy of Teotihuacan on regional routes and urban planning. In Ancient road networds and settlement hierarchies in the new world, edited by Charles D. Trombold, pp. 186–197. Cambridge Univ. Press, New York. 1992 Archaeology of empires. World Archaeology 23(2). 1990 La cerámica de Tula, Hidalgo. Instituto Nacional de Antropología e Historia, Mexico City. 1999 Tepetitlán: A rural household in the Toltec heartland/Tepetitlán: Un espacio doméstico rural en el area de Tula. University of Pittsburgh Latin American Archaeology Publications, and Instituto Nacional de Antropología e Historia, Pittsburgh/Mexico City. 1994 Mexico: From the Olmecs to the Aztecs, 4th ed. Thames and Hudson, New York. 1999 The Maya, 6th ed. Thames and Hudson, New York. 1989 Impact of Inka conquest on local technology in the upper Mantaro Valley, Peru. In What’s new, edited by S. E. van der Leeuw and R. Torrence, pp. 107–139. Unwin Hyman, London. 1989 Status distinction and legitimation of power as reflected in changing patterns of consumption in late prehispanic Peru. American Antiquity 54:691–714. 1981 The first emperor of China. Penguin, New York. Cowgill, George L.
1997 State and society at Teotihuacan, Mexico. Annual Review of Anthropology 26:129–161. 2000 The central Mexican highlands from the rise of Teotihuacan to the decline of Tula. In The Cambridge history of the native peoples of the Americas, volume II, Mesoamerica, part 1, edited by Richard E. W. Adams and Murdo J. MacLeod, pp. 250–317. Cambridge Univ. Press, New York. 1991 El recinto ceremonial de El Cerrito. In Querétaro prehispánico, edited by Ana María Crespo and Rosa Brambila, pp. 163–224. Instituto Nacional de Antropología e Historia, Mexico City. 1998 La expansión de la frontera norte (y la cronología oficial para Teotihuacán). In Los ritmos de cambio en Teotihuacán: Reflexiones y discusiones de su cronología, edited by Rosa Brambila and Rubén Cabrera, pp. 323–334. Instituto Nacional de Antropología e Historia, Mexico City. 1989 The Nature of Wari. BAR International Series, no. 525. British Archaeological Reports, Oxford. D’Altroy, Terence N.
1992 Provincial power in the Inka empire. Smithsonian Institution Press, Washington, DC. 1968 Los señoríos independientes del imperio Azteca. Instituto Nacional de Antropología e Historia, Mexico City. 1973 The Aztecs: A history. Univ. of Oklahoma Press, Norman. 1977 The Toltecs until the fall of Tula. Univ. of Oklahoma Press, Norman. 1988 Escultura en piedra de Tula: Catálogo. Instituto de Investigaciones Estéticas, Universidad Nacional Autónoma de México, Mexico City. 1996 Ideology, materialization, and power strategies. Current Anthropology 37:15–31. 1980 Chingú: Un sitio clásico del área de Tula, Hidalgo. Instituto Nacional de Antropología e Historia, Mexico City. 1991 Las figurillas teotihuacanas en Chingú, Hidalgo. In Teotihuacan 1980–1982: Nuevas interpretaciones, edited by Rubén Cabrera Castro, Ignacio Rodrígez García, and Noel Morelos García, pp. 259–272. Instituto Nacional de Antropología e Historia, Mexico City. 1998 Ocoyoacac: Un sitio con influencia Teotihuacana en el valle de Toluca. In Los ritmos de cambio en Teotihuacán: Reflexiones y discusiones de su cronología, edited by Rosa Brambila and Rubén Cabrera, pp. 353–375. Instituto Nacional de Antropología e Historia, Mexico City. 1983 Tula: The Toltec capital of ancient Mexico. Thames and Hudson, New York. 1993 The Toltec horizon in Mesoamerica: New perspectives on an old issue. In Latin American horizons, edited by Don S. Rice, pp. 263–294. Dumbarton Oaks, Washington, DC. 1994 Wealth finance in the Inka empire: Evidence from the Calchaquí Valley, Argentina. American Antiquity 59:443–460. 1992 Dynamics of trade in the ancient Mesopotamian “world system.” American Anthropologist 94:118–139. 1993 Trade and world systems in early Bronze Age western Asia. In Trade and exchange in prehistoric Europe, edited by Christopher Scarre and F. Healy, pp. 17–34. Oxbow Books, Oxford. 1991 New perspectives on prehispanic highland Mesoamerica: A macroregional approach. Comparative Civilizations Review 24:13–33. 1974 Tollan in Hidalgo: Native accounts of the central Mexican Tolteca. In Studies of ancient Tollan: Areport of the University of Missouri Tula Archaeological Project, edited by Richard A. Diehl, pp. 130–149. Univ. of Missouri, Columbia, MO. 1998 The ground plans of archaic states. In Archaic States, edited by Gary M. Feinman and Joyce Marcus, pp. 15–57. School of American Research Press, Santa Fe, NM. 1988 Elementos cerámicos de asentamientos Toltecas en Guanajuato y Querétaro. In Ensayos de alfarería prehispánica e histórica de Mesoamérica: Homenaje a Eduardo Noguera Auza, edited by Mari Carmen Serra Puche and Carlos Navarrete Cáceres, pp. 205–220. Universidad Nacional Autónoma de México, Mexico City. 1989 The cultural evolution of ancient Nahua civilizations: The Pipil-Nacarao of Central America. Univ. of Oklahoma Press, Norman. 1981 The historical importance of Tlaxcala in the cultural development of the central highlands. In Supplement to the Handbook of Middle American Indians, Volume 1, Archaeology, edited by Victoria R. Bricker and Jeremy A. Sabloff, pp. 244–276. Univ. of Texas Press, Austin. 1997 Notas sobre asentamientos prehispánicos fortificados o en posición estratégica del suroeste de Puebla. In Homenaje al profesor César A. Sáenz, edited by Ángel García Cook, Alba Guadalupe Mastache, Leonor Merino, and Sonia Rivero Torres, pp. 367–388. Instituto Nacional de Antropología e Historia, Mexico City. García Cook, Ángel, and Elia del Carmen Trejo 1977 Lo teotihuacano en Tlaxcala. Comunicaciones 14: 57–70. 1977 Congregaciones de indios en la Nueva España ántes de 1570. Historia Mexicana 26:347–395. 1966 Spain in America. Harper & Row, New York. Gillespie, Susan D.
1985 Acambaro: Frontier settlement on the Tarascan–Aztec border. Vanderbilt University Publications in Anthropology, no. 32. Department of Anthropology, Vanderbilt Univ., Nashville. 1993 Apuntes sobre otros materiales arqueológicos procedentes de Tlalpizáhuac. Expresión Antropológica 3:117–132. Hare, Timothy S.
2000 Political economy, spatial analysis, and postclassic states in the yautepec Valley, Mexico. Ph.D. dissertation, Department of Anthropology, Univ. at Albany, SUNY. Hare, Timothy S., Lisa Montiel, and Michael E. Smith n.d. Prehispanic settlement patterns in the Yautepec Valley, Morelos, Mexico. Manuscript in preparation. 1987 Culture process on the periphery: Belgic Gaul and Rome during the late Republic and early Empire. In Centre and periphery in the ancient world, edited by Michael Rowlands, Mogens Larsen, and Kristian Kristiansen, pp. 104–124. Cambridge Univ. Press, Cambridge. 1985 Trade, tribute, and transportation: The Sixteenth century political economy of the Valley of Mexico. Univ. of Oklahoma Press, Norman. 1992 War and society in ancient Mesoamerica. Univ. of California Press, Berkeley. 1989 Tula of the Toltecs: Excavations and survey. Univ. of Iowa Press, Iowa City. 1993 Local versus non-local obsidian exchange at Tula and its implications for post-formative Mesoamerica. World Archaeology 24:449–466. 2000 The Toltec world as seen from northeast Michoacan. Annual Conference, Society for American Archaeology, Philadelphia. 1983 Excavation and preliminary analysis of an obsidian workshop in Tula, Hidalgo, Mexico. Journal of Field Archaeology 10:127–146. 1999 Un taller de alfareros en la antigua ciudad de Tula. Arqueología 22:69–88. 1994a Arqueología de la frontera Tarasco–Mexica: Conformación, estrategía y practicas de control. Licenciatura, Escuela Nacional de Antropología e Historia, Mexico City. 1994b La arqueología de la frontera Tarasco–Mexica: Arquitectura bélica. In Contribuciones a la arqueología y etnohistoria del Occidente de México, edited by Eduardo Williams, pp. 115–155. El Colegio de Michoacan, Zamora. 1978 Teotihuacan regional population administration in eastern Morelos. World Archaeology 9:320–333. 1980 Eastern Morelos and Teotihuacan: A settlement survey. Vanderbilt University Publications in Anthropology, no. 25. Department of Anthropology, Vanderbilt Univ., Nashville. 1996 Teotihuacán clásico: Una perspectiva regional sobre el valle oriental de Morelos. Cuadernos de Arquitectura Mesoamericana 30:13–44. 1993 Black-on-orange ceramic production in the Aztec empire’s heartland. Latin American Antiquity 4:130–157. 1978 Economic growth and towns in classical antiquity. In Towns in societies, edited by Philip Abrams and E. A. Wrigley, pp. 35–77. University Press, Cambridge. 1980 Taxes and trade in the Roman Empire (200 B.C.–A.D. 400). Journal of Roman Studies 70:101–125. 1994 The sounds and colors of power: The sacred metallurgical technology of ancient west Mexico. MIT Press, Cambridge. 1996 Copper sources, metal production and metals trade in late Postclassic Mesoamerica. Science 273:1819–1824. 1984 The Inka road system. Academic Press, New York. 1990 Inka settlement planning. Univ. of Texas Press, Austin. 1986 Notes on obsidian, the Pochteca, and the position of Tlatelolco in the Aztec Empire. In Economic aspects of highland central Mexico, edited by Barry L. Isaac, pp. 319–343. JAI Press, Greenwich, CT.
1990 The limits of empire: The Roman army in the east. Clarendon, Oxford. 1991 Huari administrative structures. Dumbarton Oaks, Washington, DC. 1941 Tula y los Toltecas según las fuentes históricas. Revista Mexicana de Estudios Antropológicos 5:79–83. 1996 Excavations in the east plaza of Tikal. University Museum, Univ. of Pennsylvania, Philadelphia. 1995 Twin city tales: A hermeneutical reassessment of Tula and Chichen Itza. Univ. Press of Colorado, Niwot. 1993 Interregional interaction and social development on the Oaxaca coast. Ancient Mesoamerica 4:67–84. 1992 Yucatán y el imperio tolteca. Arqueología 8:113–119. 1994 Chichen Itza and its hinterland: A worldsystems perspective. Ancient Mesoamerica 5: 141–158. 1985 El imperio tolteca y su caída. In Mesoamérica y el centro de México: Una antología, edited by Jesús Monjarás-Ruiz, Rosa Brambila, and Emma Pérez-Rocha, pp. 249–272. Instituo Nacional de Antropología e Historia, Mexico City. 1993 The business of narrative at Tula: An analysis of the vestibute frieze, trade, and ritual. Latin American Antiquity 4:3–21. 1999 The architecture of the Tula body politic. In Mesoamerican Architecture as a Cultural Symbol, edited by Jeff Karl Kowalski, pp. 162–175. Oxford Univ. Press, New York. 2001 The Araemenid empire: Continuities, adaptations, transformations. In Empires: perspectives from archaeology and history, edited by Susan E. Alcock, Terence N. D’Altroy, Kathleen D. Morrison, and Carla M. Sinopoli. pp. 93–123. Cambridge Univ. Press, New York. 1997 Costumbres funerarias y caracteristicas bioculturales de la población prehispánica de Huamango. Expresión Antropológica (Instituto Mexiquense de Cultura) 6:7–28. 1986 Central America and the Southwest: A comparison of Mesoamerica’s two peripheries. In Research and reflections in archaeology and history: Essays in honor of Doris Stone, edited by E. Wyllys Andrews V, pp. 159–177. Middle American Research Institute, Tulane Univ., New Orleans. 1979 The tradition of empire in Mesopotamia. In Power and propaganda: A symposium on ancient empires, edited by Mogens T. Larsen, pp. 75–106. Akademisk Forlag, Copenhagen. 1978 The origin and developent of plumbate pottery. Revista Mexicana de Estudios Antropológicos 24:287–300. 1942 Mexican highland cultures: Archaeological researches at Teotihuacan, Calpulalpan and Chalchicomula in 1934/35. Ethnographical Museum of Sweden, Stockholm. 1993 Akkad: The first world empire. Sargon, Padua. 2000 The myth and reality of Zuyuá: The feathered serpent and Mesoamerican transformations from the Classic to the Postclassic. In Mesoamerica’s classic heritage: From Teotihuacan to the Aztecs, edited by Davíd Carrasco, Lindsay Jones, and Scott Sessions, pp. 21–84. Univ. Press of Colorado, Niwot. 1994 The offerings of the Templo Mayor of Tenochtitlan. Univ. Press of Colorado, Niwot. 1976 The grand strategy of the Roman Empire from the first century A.D. to the third. Johns Hopkins Univ. Press, Baltimore. 1990 Cuauhnahuac y Huaxtepec: Tlalhuicas y Xochimilcas en el Morelos prehispánico. Centro Regional de Investigaciones Multidisciplinarias, Universidad Nacional Autónoma de México, Cuernavaca. 1993 Provincial Inca: Archaeological and ethnohistorical assessment of the impact of the Inca state. Univ. of Iowa Press, Iowa City. 1999 Recent research on the Wari polity of the central Andes. In Symposium at the 1999 Annual Conference, Society for American Archaeology, Chicago. 1986 The sources of social power, volume 1: A history of power from the beginning to A.D. 1760. Cambridge Univ. Press, New York. 1983 Teotihuacan visitors on Monte Alban monuments and murals. In The cloud people: Divergent evolution of the Zapotec and Mixtec civilizations, edited by Kent V. Flannery and Joyce Marcus, pp. 175–181. Academic Press, New York. 1992 Mesoamerican writing systems: Propaganda, myth, and history in four ancient civilizations. Princeton Univ. Press, Princeton. 1996 Zapotec civilization: How urban society evolved in Mexico’s Oaxaca Valley. Thames and Hudson, New York. 1979 Las Pilas, Morelos. Instituto Nacional de Antropología e Historia, Mexico City. 1985 Tula. In Mesoamérica y el centro de México: Una antología, edited by Jesús Monjarás-Ruiz, Rosa Brambila, and Emma Pérez-Rocha, pp. 273–307. Instituo Nacional de Antropología e Historia, Mexico City. 1989 The Coyotlatelco culture and the origins of the Toltec state. In Mesoamerica after the decline of Teotihuacan, AD 700–900, edited by Richard A. Diehl and Janet C. Berlo, pp. 49–68. Dumbarton Oaks, Washington DC. 1982 Análisis sobre la traza general de Tula, Hgo. In Estudios sobre la antigua ciudad de Tula, pp. 11–36. Instituto Nacional de Antropología e Historia, Mexico City. 1979 Trabajos arqueológicos en el centro de la ciudad de México. Instituto Nacional de Antropología e Historia, Mexico City. 1999 Excavaciones en la catedral y el sagrario metropolitanos: Programa de arqueología urbana. Instituto Nacional de Antropología e Historia, Mexico City. 1981 Proyecto Tepeapulco: Resumen preliminar de las actividades realizadas en la primera temporada de trabajo. In Interacción cultural en México central, edited by Evelyn Childs Rattray, Jaime Litvak King, and Clara Díaz Oyarzábal, pp. 113–148. Universidad Nacional Autónoma de México, Mexico City. 1987 The middle horizon in the Valley of Cuzco, Peru: The impact of the Wari occupation of the Lucre Basin. BAR International Series, no. 372. British Archaeological Reports, Oxford. 1952 Exploraciones de Quauhtochco. Gobierno del Estado de Veracruz, Jalapa. 1995 The Roman Near East: 31 BC to AD 337. Harvard Univ. Press, Cambridge. 1967 The birds of Quetzalpapalotl. Ethnos 32:5–17. 1973 The mural painting of Teotihuacan, Dumbarton Oaks, Washington, DC. 1990 The Romanisation of Britain. Cambridge Univ. Press, New York. 1973 Painting, writing, and polity in Teotihuacan, Mexico. American Antiquity 38:294– 314. 1973 Urbanization at Teotihuacan, Mexico, volume one, The Teotihuacan map. Univ. of Texas Press, Austin. 1981 Teotihuacan: City, state, and civilization. In Archaeology, edited by Jeremy Sabloff, pp. 198–243. Univ. of Texas Press, Austin. 1988 The last years of Teotihuacan dominance. In The collapse of ancient states and civilizations, edited by Norman Yoffee and George L. Cowgill, pp. 102–164. Univ. of Arizona Press, Tucson. 1992 Teotihuacan studies: From 1950 to 1990 and beyond. In Art, ideology, and the city of Teotihuacan, edited by Janet C. Berlo, pp. 339–429. Dumbarton Oaks, Washington, DC. 1994 The place where time began: An archaeologist’s interpretation of what happened in Teotihuacan history. In Teotihuacan: Art from the City of the Gods, edited by Kathleen Berrin and Esther Pasztory, pp. 16–43. The Fine Arts Museums, San Francisco. 1999 Mexican obsidian at Tikal, Guatemala. Latin American Antiquity 10:300–313. 1998 On the border of the Teotihuacan empire: Archaeological investigations in the Yautepec Valley. Paper presented at the 1998 Annual Meeting, Society for American Archaeology, Seattle. 1999 Figurines and Teotihuacan imperialism in the Yautepec Valley, Morelos. Paper presented at the 1999 Annual Meeting, Society for American Archaeology, Chicago. n.d. Teotihuacan imperialism in the Yautepec Valley, Morelos, Mexico. 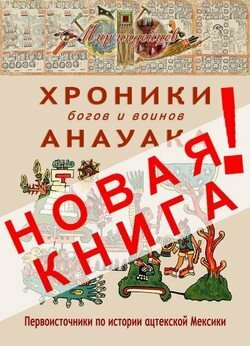 Ph.D. dissertation, Department of Anthropology, Univ. at Albany, SUNY. 2001 The Carolingian Empire: Rome reborn? in Empires: perspectives from archaeology and history, edited by Susan E. Alcock, Terence N. D’Altroy, Kathleen D. Morrison, and Carla M. Sinopoli, pp. 392–418. Cambridge Univ. Press, New York. 2001 Egypt and Nubia. In Empires: Perspectives from archaeology and History, edited by Susan E. Alcock, Terence N. D’Altroy, Kathleen D. Morrison, and Carla M. Sinopoli, pp. 227–251. Cambridge Univ. Press, New York. 1995 Fields of victory: Vijayanagara and the course of intensification. University of California Archaeological Research Facility, Berkeley. 1994 Centralized power, centralized authority? Ideological claims and archaeological patterns. Asian Perspectives 33:327–350. Murra, John V.
1980 The economic organization of the Inka state. JAI Press, Greenwich, CT.
1997 El noreste de Morelos y la desestabilización teotihuacana. Arqueología 18:103–117. 1996 Elementos arqueológicos de mexicanización en las tierras altas mayas. In Temas mesoamericanos, edited by Sonia Lombardo and Enrique Nalda, pp. 305–342. Instituto Nacional de Antropología e Historia, Mexico City. 1996 Compositional analysis of Aztec black-on-orange pottery from Yautepec, Morelos, Mexico. Unpublished report. Missouri University Research Reactor, Univ. of Missouri. 2000 The iconography of the feathered serpent in late Postclassic central Mexico. In Mesoamerica’s classic heritage: From Teotihuacan to the Aztecs, edited by Davíd Carrasco, Lindsay Jones, and Scott Sessions, pp. 145–164. Univ. Press of Colorado, Niwot. 1995 La zona del Altiplano central en el Posclásico: La etapa tolteca. In Historia antigua de México. vol. 3, el horizonte Posclásico y algunos aspectos intelectuales de las culturas mesoamericanas, edited by Linda Manzanilla and Leonardo López Luján, pp. 189–224. Instituto Nacional Antropología e Historia, Mexico City. 1986 Reconocimiento arqueológico en el pueblo de Tututepec, Oaxaca. Unpublished report. Centro Regional de Oaxaca, Instituto Nacional de Antropología e Historia, Oaxaca. 1998 Matacapan: Un ejemplo de enclave teotihuacano en la costa del Golfo. In Los ritmos de cambio en Teotihuacán: Reflexiones y discusiones de su cronología, edited by Rosa Brambila and Rubén Cabrera, pp. 377–460. Instituto Nacional de Antropología e Historia, Mexico City. 1987 Classical landscape with figures: The ancient Greek city and its countryside. George Philip, London. 1991 The city in the Greek and Roman world. Routledge, New York. 1971 Prehistoric settlement patterns in the Texcoco region, Mexico. Museum of Anthropology, Univ. of Michigan, Ann Arbor. 1998 La explotación Azteca de la obsidiana en la Sierra de las Navajas. Instituto Nacional de Antropología e Historia, Mexico City. 1997 Teotihuacan: An experiment in living. Univ. of Oklahoma Press, Norman. 1978 Middle classic Mesoamerica: AD 400–700. Columbia Univ. Press, New York. 1996 Introduction: World-systems theory and archaeology. In Pre-Columbian world systems, edited by Peter N. Peregrine and Gary M. Feinman, pp. 1–10. Prehistory Press, Madison, WI. 1993 La cerámica arqueológica de Tlalpizáhuac. Expresión Antropológica 3:43–73. 1981 Investigaciones sobre Huamango y región vecina (memoria del proyecto). Dirección de Turiso del Gobierno del Estado de México, Toluca. 1977 An analysis of urban zoning and planning in prehispanic Tzintzuntzan. Proceedings of the American Philosophical Society 121:46–69. 1993 Tariacuri’s legacy: The prehispanic Tarascan state. Univ. of Oklahoma Press, Norman. 1994 Late postclassic imperial expansion and economic exchange within the Tarascan domain. In Economies and polities in the Aztec realm, edited by Mary G. Hodge and Michael E. Smith, pp. 447–470. Institute for Mesoamerican Studies, Albany. 1992 The land of Assur and the yoke of Assur. World Archaeology 23:247–263. 1997 The ancient Americas: A brief history and guide to research. Univ. of Utah Press, Salt Lake City. 1979 La cerámica de Teotihuacan: Relaciones externas y cronología. Anales de antropología 16:51–70. 1981 Anaranjado delgado: Cerámica de comercio de Teotihuacan. In Interacción cultural en México central, edited by Evelyn C. Rattray, Jaime Litvak King, and Clara Díaz Oyarz´abal, pp. 55–80. Universidad Nacional Autónoma de México, Mexico City. 1989 El barrio de los comerciantes y el conjunto Tlamimilolpa: Un estudio comparativo. Arqueología 5:105–129. 1990 New findings on the origins of thin orange ceramics.Ancient Mesoamerica 1:181–196. 1998 Resumen de las tendencias cronológicas en la cerámica y panorama general de Teotihuacán. In Los ritmos de cambio en Teotihuacan: Reflexiones y discusiones de su cronología, edited by Rosa Brambila and Rubén Cabrera, pp. 255–281. Instituto Nacional de Antropología e Historia, Mexico City. 1992 Neutron activation analysis and numerical taxonomy of thin orange ceramics from the manufacturing sites of Rio Carnero, Puebla, Mexico. In Chemical characterization of ceramic pastes in archaeology, edited by Hector Neff, pp. 221–232. Prehistory Press, Madison, WI. 1983 A fuego y sangre: Early Zapotec imperialism in the Cuicatlán Cañada, Oaxaca. Univ. of Michigan, Museum Anthropology, Ann Arbor. 1998 The return of Quetzalcoatl: Evidence for the spread of a world Religion during the epiclassic period. Ancient Mesoamerica 9:183–232. 1970 The Tulum murals: The international style of the late post-Classic. In Verhandlunger del XXXVIII Internationalen Amerikanisten-Kongres, Stuttgart-Munchen, 1968, Vol. 2, pp. 77–88. Kommissionsverlag Klaus Renner, Stuttgart. 1986 México Tenochtitlan: Economía e sociedad en el siglo XVI. Fondo de Cultura Económica, Mexico City. 1999 El funeral de un dignatorio mexica. Arqueología Mexicana 7:36–39. 1979 The king and kingship in Achaemenid art: Essays on the creation of an iconography of empire. E. J. Brill, Leiden. 1950–1982 Florentine Codex, General history of the things of New Spain, 12 books. Translated and edited by Arthur J. O. Anderson and Charles E. Dibble. School of American Research and the Univ. of Utah Press, Santa Fe/Salt Lake City. 1998 Los problemas para la periodificación del Bajío y la secuencia de San Juan del Río. In Los ritmos de cambio en Teotihuacán: Reflexiones y discusiones de su cronología, edited by Rosa Brambila and Rubén Cabrera, pp. 335–345. Instituto Nacional de Antropología e Historia, Mexico City. 1991 Cerro de La Cruz: Persistencia de un centro ceremonial. In Querétaro prehispánico, edited by Ana Ma. Crespo and Rosa Brambila, pp. 57–97. Instituto Nacional de Antropología e Historia, Mexico City. 1977 Teotihuacan and Kaminaljuyu. Pennsylvania State Univ. University Park. 1979 The Basin of Mexico: Ecological processes in the evolution of a civilization. Academic Press, New York. 1983 A tale of three cities: Energetics and Urbanization in pre-Hispanic central Mexico. In Prehistoric settlement patterns: Essays in honor of Gordon R. Willey, edited by Evon Z. Vogt and Richard Leventhal, pp. 243–291. Univ. of New Mexico Press, Albuquerque. 1984 Obsidian exchange, economic stratification, and the evolution of complex society in the Basin of Mexico. In Trade and exchange in early Mesoamerica, edited by Kenneth G. Hirth, pp. 43–86. University of New Mexico Press, Albuquerque. 1989 Obsidian working, long-distance exchange, and the Teotihuacan presence on the south Gulf Coast. In Mesoamerica after the decline of Teotihuacan, AD 700–900, edited by Richard. A. Diehl and Janet C. Berlo, pp. 131–151. Dumbarton Oaks, Washington, DC. 1993 Prehispanic exchange relationships among Central Mexico, the Valley of Oaxaca, and the Gulf Coast of Mexico. In The American Southwest and Mesoamerica: Systems of prehistoric exchange, edited by Jonathon Ericson and Timothy G. Baugh, pp. 179–211. Plenum, New York. 1987 Enclaves, ethnicity, and the archaeological record at Matacapan. In Ethnicity and culture, edited by Reginald Auger, Margaret F. Glass, Scott MacEachern, and Peter H. McCartney, pp. 85–100. Archaeological Association, Univ. of Calgary, Calgary. 1922 Turquoise mosaic art in ancient Mexico. Museum of the American Indian, Heye Foundation, New York. 1998 The code of kings: The language of seven sacred Maya temples and tombs. Simon and Schuster, New York. 2000 The nature of “Toltec-ness”: A view from west Mexico. Annual Conference, Society for American Archaeology, Philadelphia. 1992 Wari imperialism in middle horizon Peru. Museum of Anthropology, University of Michigan, Ann Arbor. 1999 Regional approaches to the study of prehistoric empires: Examples from Ayacucho and Nasca, Peru. In Settlement pattern studies in the Americas: Fifty years since Virú, edited by Brian R. Billman and Gary M. Feinman, pp. 160–171. Smithsonian Institution Press, Washington, DC. 1990–96 Excavations at the site of the principal temple in Mexico. In Collected works in Mesoamerican linguistics and archaeoalogy, Vol. 3, pp. 114–193. Labyrinthos, Culver City. 1995 Latest findings at Copán, Honduras. Final Report submitted to the Foundation for the Advancement of Mesoamerican Studies, Inc.
2000 A study of the Late postclassic Aztec–Tarascan frontier in northern Guerrero, Mexico: The Oztuma–Cutzamala project. Ph.D. dissertation, Department of Anthropology, Pennsylvania State University. 1994 The archaeology of empires. Annual Review of Anthropology 23:159–180. 1995 Dimensions of imperial control: The Vijayanagara capital. American Anthropologist 97:83–96. 1986 The role of social stratification in the Aztec empire: A view from the provinces. American Anthropologist 88:70–91. 1990 Long-distance trade under the Aztec empire: The archaeological evidence. Ancient Mesoamerica 1:153–169. 1992 Archaeological research at Aztec-period rural sites in Morelos, Mexico, Volume 1, excavations and architecture/Investigaciones arqueológicas en sitios rurales de la epoca Azteca en Morelos, tomo 1, excavaciones y arquitectura. Monographs in Latin American Archaeology, no. 4. Univ. of Pittsburgh, Pittsburgh. 1994 Economies and polities in Aztec-period Morelos: Ethnohistoric introduction. In Economies and polities in the Aztec realm, edited by Mary G. Hodge and Michael E. Smith, pp. 313–348. Institute for Mesoamerican Studies, Albany. 1997a City planning: Aztec city planning. In Encyclopaedia of the history of non-Western science, technology, and medicine, edited by Helaine Selin, pp. 200–202. Kluwer Academic, Dordrecht. 1997b Life in the provinces of the Aztec empire. Scientific American 277(3):56–63. 2000 Aztec city-states. In A comparative study of thirty city–state cultures, edited by Mogens Herman Hansen, pp. 581–595. The Royal Danish Academy of Sciences and Letters, Copenhagen. 2001 The Aztec empire and the Mesoamerican world system. In Empires: Comparative perspectives from archaeology and history, edited by Susan E. Alcock, Terence N. D’Altroy, Kathleen D. Morrison, and Carla M. Sinopoli. pp. 128–154. Cambridge Univ. Press, New York. n.d.a Aztec military settlements. In Enciclopedia Archeologica, edited by Marco Curatola. Intituto Della Enciclopedia Italiana, Rome, in press. n.d.b Tlahuica ceramics: The Aztec-period ceramics of Morelos, Mexico. Institute for Mesoamerican Studies, Albany, in press. 1992 Archaeology and the Aztec empire. World Archaeology 23:353–367. 2000 The postclassic Mesoamerican world system. Current Anthropology 41:283–286. n.d. (Eds.) The postclassic Mesoamerican world. Univ. of Utah Press, Salt Lake City, in press. 1980 Waves of influence in postclassic Mesoamerica? A critique of the Mixteca– Puebla concept. Anthropology 4:15–50. 1994 Rural economy in late postclassic Morelos: An archaeological study. In Economies and polities in the Aztec realm, edited by Mary G. Hodge and Michael E. Smith, pp. 349–376. Institute for Mesoamerican Studies, Albany. 1999 Excavations of Aztec urban houses at Yautepec, Mexico. Latin American Antiquity 10:133–150. 1999 Ceramic imports at Yautepec and their implications for Aztec exchange systems. Paper presented at the 1999 Annual Meeting, Society for American Archaeology, Chicago. 1991 Rescate de un rescate: Colección de objetos arqueológicos de el Volador, Ciudad de México. Instituto Nacional de Antropología e Historia, Mexico City. 1987 The scale and structure of obsidian production in Teotihuacan. In Teotihuacán: Nuevos datos, nuevas síntesis, Nuevos problemas, edited by Emily McClung de Tapia and Evelyn C. Rattray, pp. 439–450. Universidad Nacional Autónoma de México, Mexico City. 1989 Excavaciones recientes en Tlailotlaca, el barrio Oaxaqueno de Teotihuacan. Arqueología 5:81–104. 1992 Tlailotlacan, a Zapotec enclave in Teotihuacan. In Art, ideology, and the city of Teotihuacan, edited by Janet C. Berlo, pp. 59–88. Dumbarton Oaks, Washington, DC. 1996 Commodity or gift: Teotihuacan obsidian in the Maya region. Latin American Antiquity 7:21–39. 1993 Tututepec: A Mixtec conquest state. Ancient Mesoamerica 4:167–174. 1988 The ancient Roman city. Johns Hopkins Univ. Press, Baltimore. 1990 The Gulf Coast and the central highlands of Mexico: Alternative models for interaction. Research in Economic Anthropology 12:243–285. 1999 Rethinking world-systems: Diasporas, colonies, and interaction in Uruk Mesopotamia. Univ. of Arizona Press, Tucson. 1990 Chinese imperial city planning. Univ. of Hawaii Press, Honolulu. 2000 “The Arrival of Strangers”: Teotihuacan and Tollan in classic Maya history. In Mesoamerica’s classic heritage: From Teotihuacan to the Aztecs, edited by Davíd Carrasco, Lindsay Jones, and Scott Sessions, pp. 465–514. University Press of Colorado, Niwot. 1998 Archaeology and iconography of Teotihuacan censers: Official military emblems originated from the Cuidadela? Teotihuacan Notes: Internet Journal for Teotihuacan Archaeology and Iconography. 1982 Chalchihuitl: Le jade chez les Aztèques. Institut d’Ethnologie, Paris. 1993 A summary of the Inca occupation of Huamachuco. In Provincial Inca: Archaeological and ethnohistorical assessment of the impact of the Inca state, edited by Michael A. Malpass, pp. 17–43. Univ. of Iowa Press, Iowa City. 1998 La cuenca de Chalco y su relación con Teotihuacán. In Los ritmos de cambio en Teotihuacán: Reflexiones y discusiones de su cronología, edited by Rosa Brambila and Rubén Cabrera, pp. 347–352. Instituto Nacional de Antropología e Historia, Mexico City. 1998 Desarrollo arquitectónico del sitio arqueológico de Tlalpizáhuac. Instituto Nacional de Antropología e Historia, Mexico City. 1979 State and cosmos in the art of Tenochtitlan. Dumbarto Oaks, Washington, DC. 1957 Chichen Itza and its cenote of sacrifice: A comparative study of contemporaneous Maya and Toltec. Peabody Museum, Harvard Univ., Cambridge. 1987 Antiques, revivals, and references to the past in Aztec art. Res 13:62–105. 1996 Art and imperial strategy in Tenochtitlan. In Aztec Imperial Strategies, by Frances F. Berdan et al., pp. 85–106. Dumbarton Oaks, Washington, DC. 1993 Aztec art and imperial expansion. In Latin American Horizons, edited by Don S. Rice, pp. 295–336. Dumbarton Oaks, Washington, DC. 1938 A correlation of archaeological and historical sequences in the Valley of Mexico. American Anthropologist 40:535–573. 1981 Comparaciones entre Los Teteles de Ocotitla, Tlaxcala y Teotihuacan a través de materiales cerámicos. In Interacción cultural en México central, edited by Evelyn C. Rattray, Jaime Litvak King, and Clara Díaz Oyarza´bal, pp. 43–54. Universidad Nacional Autónoma de México, Mexico City. 1948 The Teotihuacan owl-and-weapon symbol and its association with “Serpent Head X” at Kaminaljuyu. American Antiquity 14:129–132. 1987 La iconografía de Teotihuacan: los dioses y los signos. Universidad Nacional Autónoma de México, Mexico City. 1974 The modern world-system: Capitalist agriculture and the origins of the european world-economy in the sixteenth century. Academic Press, New York. 1993 The Aztecs, Maya, and their predecessors: Archaeology of Mesoamerica, 3rd ed. Academic Press, San Diego. 1982 Mining and mineral trade in Prehispanic Zacatecas. Anthropology 6:175–188. 1993 The role of turquoises in the ancient Mesoamerican trade structure. In The American Southwest and Mesoamerica: Systems of prehistoric exchange, edited by Jonathon Ericson and Timothy G. Baugh, pp. 159–177. Plenum, New York. 1977 Turquoise sources and source analysis: Mesoamerican and the Southwestern USA. In Exchange systems in prehistory, edited by Timothy K. Earle and Jonathon E. Ericson, pp 15–34. Academic Press, New York. 1984 The Roman empire. Stanford Univ. Press, Stanford. 1982 Ceramic markers used for period designations. In Prehispanic settlement patterns in the southern Valley of Mexico: The Chalco-Xochimilco region, edited by Jeffrey R. Parsons et al., pp. 385–459. Museum of Anthropology, Univ. of Michigan, Ann Arbor. 1983 Trade and frontiers of the Roman empire. In Trade and famine in classical antiquity, edited by Peter Garnsey and C. R. Whittaker, pp. 110–127. Cambridge Philological Soc., Cambridge. 1994 Frontiers of the Roman empire: A social and economic study. Johns Hopkins Univ. Press, Baltimore. 1992 Imperialism, empire and the integration of the Roman economy. World Archaeology 23: 283–293. 1990 The Isthmus and Valley of Oaxaca: Questions about Zapotec imperialism in formative period Mesoamerica. American Antiquity 55:250–261. 1993 Pacific coastal Laguna Zope: A regional center in the terminal formative hinterlands of Monte Alban. Ancient Mesoamerica 4:85–102. 1999 The Zapotec-imperialism argument: Insights from the Oaxaca coast. Current Anthropology 40:383–392.